Having a clear and young skin is something we all want. This treatment is not so far away from the right treatment methods. In daily life all of us works in humid, rough conditions which takes toll on your skin and our face.We get a tan quickly and even have dry skin because of this. We must remember to take amount of care for your skin. In case if you are suffering from dry skin you must go through or consider a Hydrating facial treatment. This treatment will help you to feel rejuvenated and relaxed.A Hydrating Facial is a treatment which is designed to hydrate and heal skin on a deep level.Having dry skin means your skin is lacking of moisture. People who are having dry skin can also cause face uncomfortable conditions like itching, scaling, and cracking. Hydrating is most important for your younger and healthier looking complexion. Hydrating facial treatment is good for your skin and can help let your skin breath.Areas which may get benefit from the Hydrating facial treatment are face, neck, hand and décolletage. Weather, Pollution and harmful UV rays may cause uncomfortable dryness to your skin. Dry skin is most common complaints of many patients, especially when working with mature clients. To address dry skin, the first step is to differentiate between dryness and dehydration. 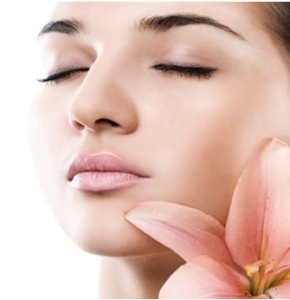 Hydration facial is specially designed to improve the skin hydration and elasticity in the face, hands, neck etc. Skin Hydration is not fillers or volumizers. Hydrader Dermabrasion facial skin surfacing is a technique which is designed for all skin types with no discomfort, no downtime, and no irritation. Hydra Dermabrasion skin resurfacing extracts dead skin and impurities while simultaneously restoring skin hydration.HydraDer Dermabrasion Facial Peeling it is the Total Solution for Skin Cleansing, Hydrating and Moisturizing. Hydra dermabrasion utilizes the natural healing powers of water and oxygen to effortlessly exfoliate the skin without the use of hard crystals or abrasive textured wands, generating deeply hydrated and healthier looking skin. The skin rejuvenation by using hydrate facial involves cleansing, exfoliation, and hydration simultaneously. This is actually a non-invasive, non-irritating treatment which produces beautiful and desired outcome in skin rejuvenation, anti-aging and acne/ oily skin treatment. Every day, our skin will become dirty, dry, lack of nutrition when exposed to the environment for a long time. Nowadays, most of the middle-aged women also have to deal with various skin problems. 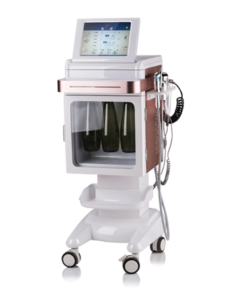 The cause of above Unhealthy skin, microdermabrasion peeling facial machine will provide solutions to all these problems which are mentioned above. Microdermabrasion peeling facial machine is a type of machine which includes five different kinds of treatments along with a variety of nutrient solution for different skin treatments such as, remove the aging skin, promote skin microcirculation and improve skin texture etc. A cleansing and then crystal free dermabrasion to remove outer the layer of dead skin. Depending on your skin type the surgeon will apply serums which help to deeply cleanse your skin. Hydro Peel- This is an optional process, in which the chemical peel is infused to your skin, once the outer skin is compromised with step 1 and step 2. Infusing key nutrients and antioxidants into your freshly exfoliated pores. Hydra Dermabrasion has completely changed the traditional way.Hydra Dermabrasion uses vacuum suction mode controlled by the intelligent process.Water Dermabrasion skin peeling is a machine with a water pump to add purified water impact of the epidermis through the nozzle high-speed, coupled with rotating friction surface, so that aging metamorphic epidermal cells fall off and the essence is more easily into skin tissue, the skin becomes delicate, soft, elastic and glossy. Using the world’s advanced PSA ( pressure swing adsorption principle ), at room temperature, power, instantaneous separation from the air can be continuously high concentrations and clean sterile medical oxygen, while achieving oxygen, Oxygen and oxygen atomizing spray three functions into one, comprehensive and thorough solution the body, the skin hypoxia problem. It eliminates waste, shrink pores, firm skin, eliminate wrinkles, stimulate the synthesis of collagen, eliminate swelling and sensitive and dilute dark circles and bags under the eyes. The deep heating of RF effects the tissue are formed as the molecules twist and crush against each other so that bioenergy is produced, thereby bringing skin to warm in deep to stimulate the collagen Stimulates collagen regeneration. 1 million vibrations per second ultrasound, when the wave is transferred to the organization, with the ultrasonic vibrations stimulate biological tissue and skin tissue, relieve tension, to maintain skin elasticity. Heated generated by vibration can make it easier to break down fat and help prevent obesity. Many patients can see and feel a difference after one treatment only.The most effective result after a series of HydraFacial procedure(Three to six).